A very special project based on the new BMW M5 is in the works and should be ready by the time SEMA 2012 kicks off in Vegas on 30 October. There are some serious projects being prepared for the 2012 SEMA tuning show, and this offering by IND Distribution is certainly one to keep a close eye on. We don&apos;t have a lot of hard facts regarding the car&apos;s specs, but the Illinois-based distributor boasts that it will be the "world&apos;s fastest M5." That&apos;s saying a lot considering the stock 560-horsepower super-sedan we&apos;re talking about here. Details are being kept under wraps until the event kicks off in Las Vegas at the end of the month, but here are some images and brief details to share with you. 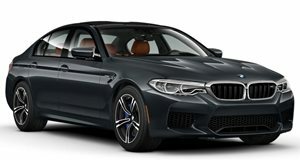 IND has fitted the new M5 with a carbon-fiber roof and Recaro bucket seats, while special safety equipment has been supplied by Fall Line Motorsports and a new KW suspension has been fitted. Given IND&apos;s claim we expect extensive power upgrades and look forward to hearing what they have in store in the coming days and weeks. As ever we&apos;ll keep you posted as soon as they&apos;re announced.